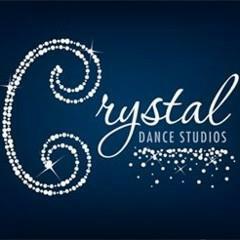 Dance Classes, Lessons, Events & Courses for Crystal Dance Studios. Weekly dance classes. Adult ballroom and Latin dance Latino, Dance fitness, Mum and baby dance class, Children's freestyle, disco, Latino, Toddlers dance class, Wedding dance, Monthly social dance events. Dance Hall for Hire, Dance Studio/School. Dance Styles: Latin American, Tango (Argentine), Salsa Dance, Disco Dance, Club Dance, Waltz, Cha-Cha, Foxtrot, Waltz (Viennese), Rumba, Samba, Jive (50s & American), Jive (Ballroom), Rock 'n' Roll (Ballroom), International Dance, Ballroom, Tango Dance, Dancesport, American Smooth, Charleston, Waltz (CW). Mail Order Available. All Entries for Crystal Dance Studios Venue. Latin American, Tango (Argentine), Salsa, Disco, Club, Waltz, Cha-Cha, Foxtrot, Waltz (Viennese), Rumba, Samba, Jive (50s & American), Jive (Ballroom), Rock 'n' Roll (Ballroom), International, Ballroom, Tango, Dancesport, American Smooth, Charleston, Waltz (CW) Instruction, Practice. Contact organiser for times and further details.